Attractive Bluetooth Soundbar with strong sound quality! 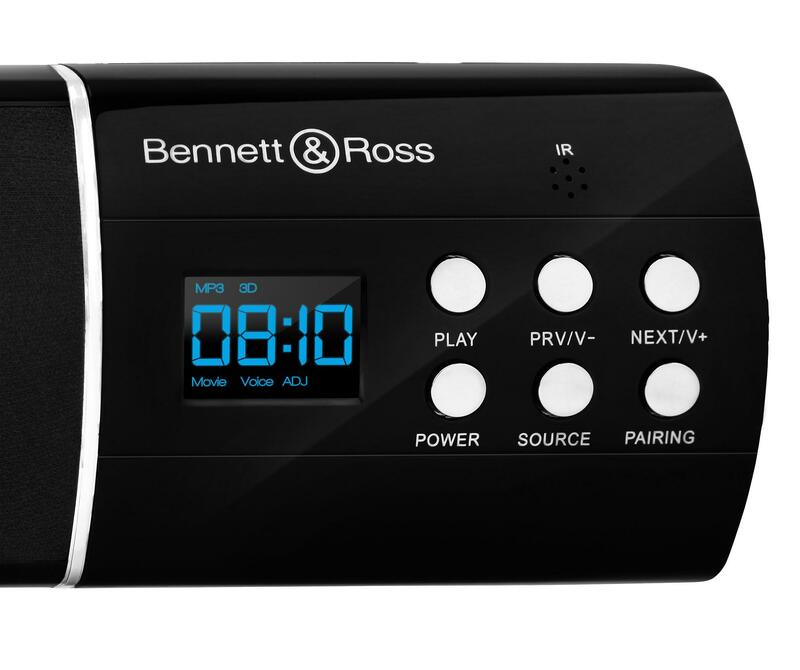 The Bennett & Ross 2.1 Moviebar is a universal speaker with its excellent sound quality and first-class technology, such as the preset equalizer, the USB/SD slots and the Bluetooth® interface. 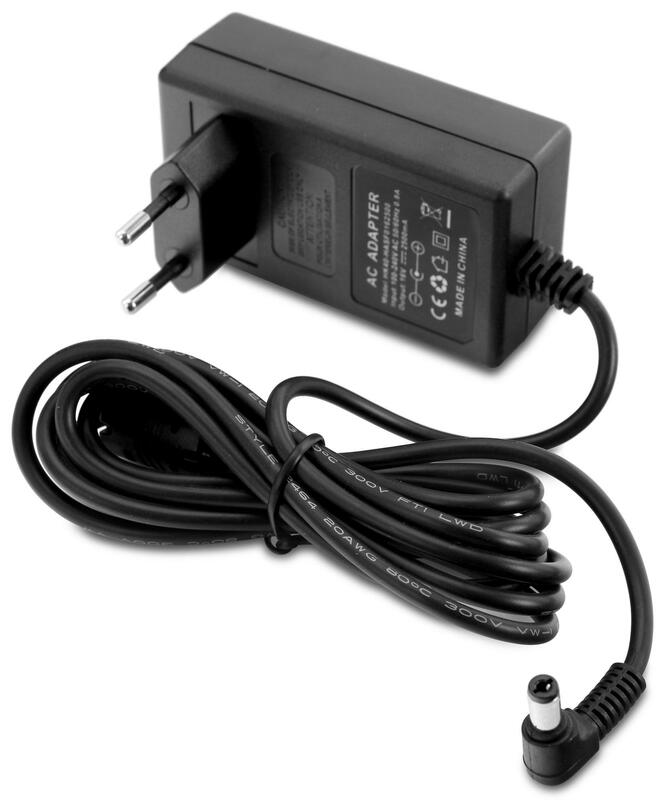 It makes an ideal complement to home hi-fi and multimedia systems. 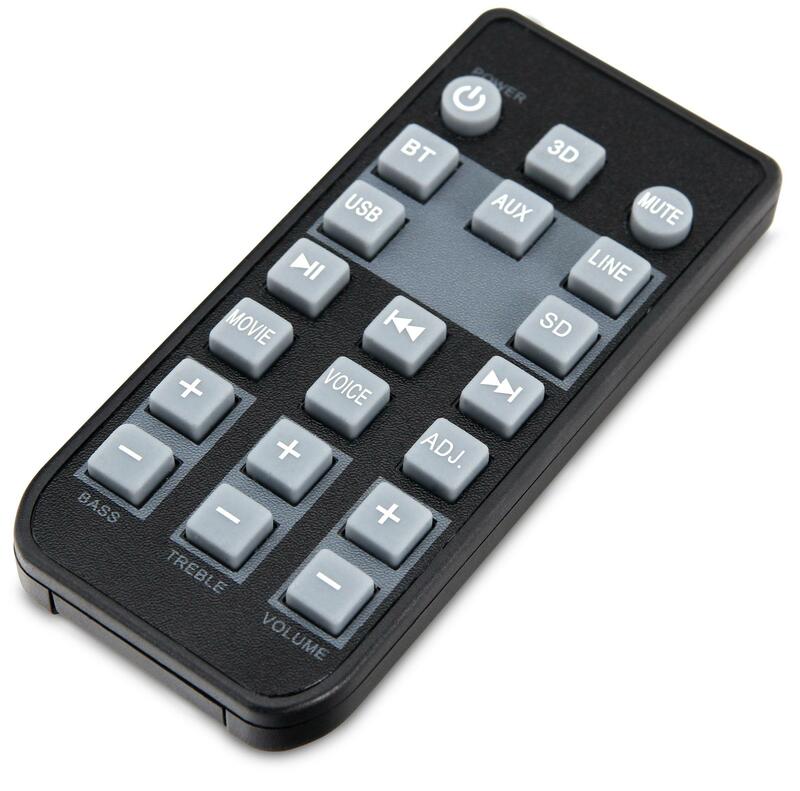 All these top features plus a great design in black piano lacquer finish and a variety of connectivity options. 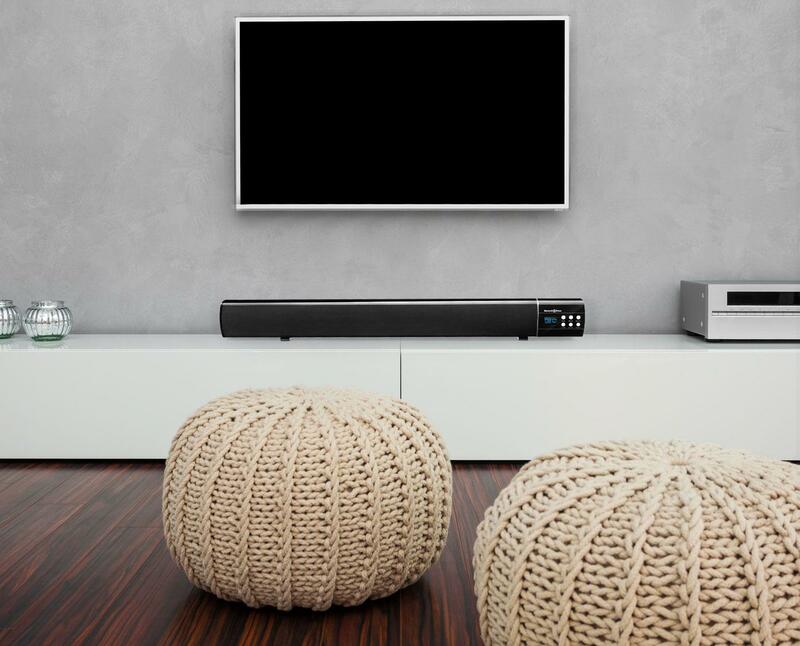 With 2x 9W + 18W (RMS), the compact Bennett & Ross Soundbar has more than enough volume to ensure a high-quality sound. Thanks to the good frequency response, the 2-way speaker set works well as stereo hi-fi speakers or to complement a surround sound system in a private home theater. 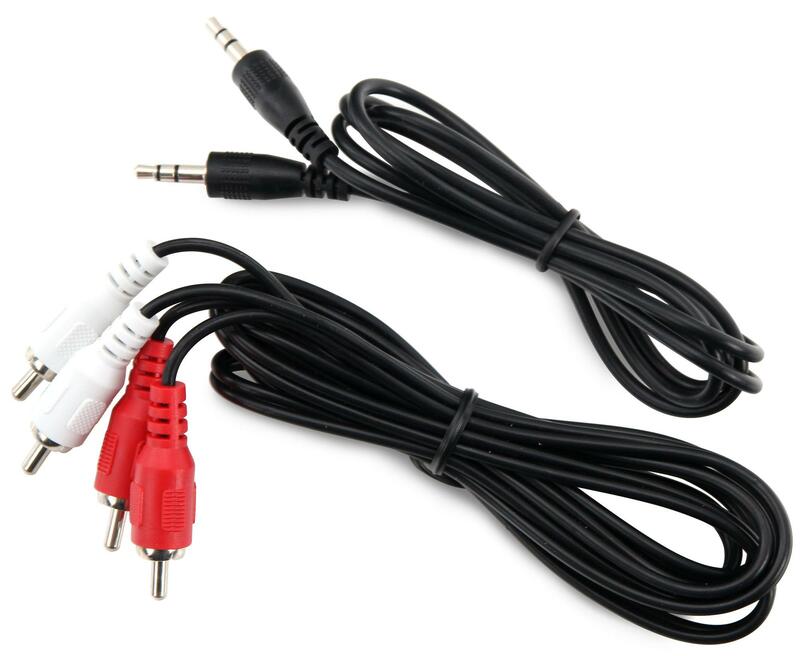 If more bass is needed, it is also possible to connect a subwoofer (not included) with the subwoofer-out jack. 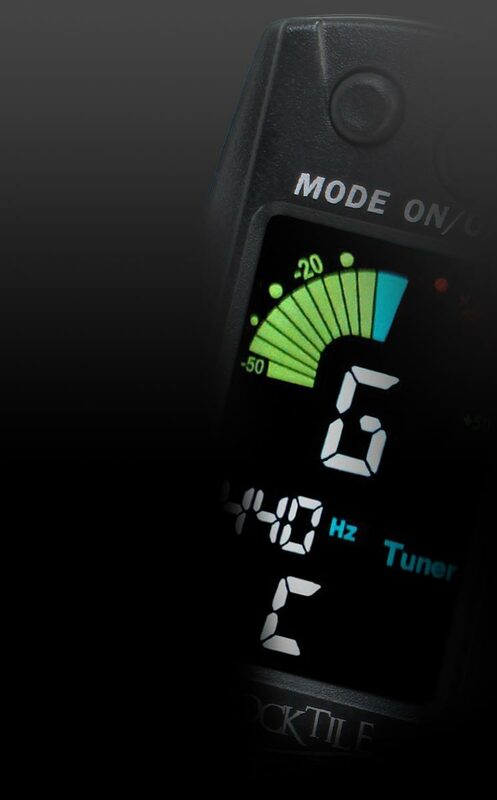 In order to adjust the sound to suit individual preference and the environmental conditions, there is a 2-band EQ for infinitely variable control of treble and bass, as well as a preset equalizer for fine tuning for music, film and speech. For maximum connectivity, a USB port and SD card slot are located next to the built-in Bluetooth® interface. 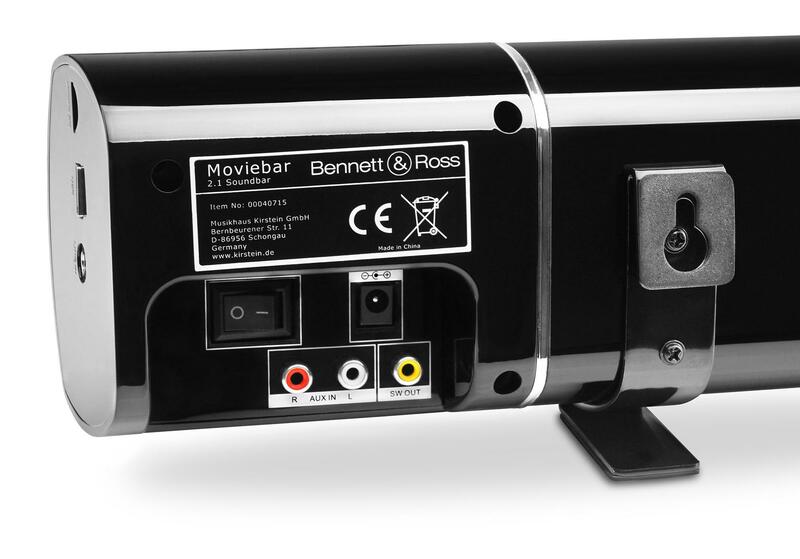 In addition, the Bennett & Ross Moviebar has a 3.5 mm auxiliary input and an audio port for TV or DVD players on the back.